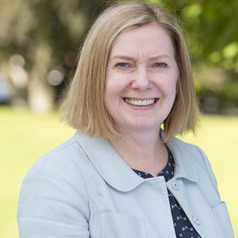 Professor Anna Leask is a key member of the Tourism Subject Group in the Business School at Edinburgh Napier University. Her teaching and research interests combine and lie principally in the areas of heritage visitor attraction management, visitor attraction pricing and World Heritage management. Anna has published in a range of international academic journals and is on the Editorial Boards of the International Journal of Tourism Research, International Journal Event and Festival Management, Journal of Heritage Tourism, Journal of Hospitality and Tourism Management and Journal of Destination Marketing and Management. She has co-edited several key texts in the field of visitor and heritage attraction management. Anna has given conference presentations in the field of visitor attraction management in both UK and international contexts. She has also played a key role on the scientific committee for several international events hosted at Edinburgh Napier University and internationally. Her contacts with the tourism industry relate predominantly to the visitor attractions sector, where she has links with key operators and membership bodies. Anna is a Fellow of the Tourism Society and of the Higher Education Academy.